The most forthright and engaging presentation of the Biblical view of animals in print. J. Y. Jones, long an accomplished physician, scholar, writer, outdoorsman, hunter, and man of God, is uniquely qualified to offer his cutting-edge treatment of this controversial topic. Don't let the down-to-earth, diverting and friendly style fool you. Just as America’s wise Founding Fathers discovered latent tyranny in a penny tea tax, Dr. Jones powerfully exposes the radical political agenda of the contemporary animal rights movement. With careful argument, he reveals the animal rights movement as a potentially significant menace to liberty and even to Christianity itself. Adding Dr. Jones’s able apologetic for the Christian faith in reasoned and transparently personal terms, one should prepare for a rich, compelling, and enjoyable read. My Sicilian grandfather’s sister was a vegetarian living on her avocado ranch in Oceanside, California, in the middle of the twentieth century. At that time, she was the only one I knew. Today, there are more vegans than ever before. Many promote it as a healthier diet and lifestyle, but some vegetarians may be promoting a deeper, hidden agenda. In this book, Dr. Jones exposes vegetarianism—especially political activists—with facts and truth. He also brings to light the radical agendas driving the environmentalist and animal rights movements, especially in contrast to the Christian premise of responsible stewardship of animals as revealed in Scripture, building his case upon the Godapproved and God-sanctioned uses of animals as beasts of burden and as food. His analysis of the false Darwinian theory of evolution versus God’s creation as recorded in Genesis is brilliant. And the difference between macro and micro evolutionary models is very important to understand. Further, as an ophthalmologist and surgeon, his description of the intricacies and brilliance of God’s design and creation of the eye and eyesight found in Chapter One (pp. 9-10) is priceless! This book is vital today to expose the unbiblical agenda of the so-called animal rights movement, which often acts in concert with radical environmentalism. This is a serious book which lays bare the insane arguments propagated in the media on a near-daily basis. Read what the Bible, God’s Word, says about the intended and proper care, use, and treatment of animals. This is long overdue in today’s man-centered and animal-centered culture. Are we to worship the creature more than the Creator of the universe? Are we to hold up the animal kingdom as more important than “the image-bearer” and our Creator in Heaven? What does Holy Scripture say about these things? A word of caution: The doomsday predictions and apocalyptic opinions of the author, while very popular today through books and movies, is not our understanding of Bible prophecy and its partial fulfillment that we believe has already occurred. 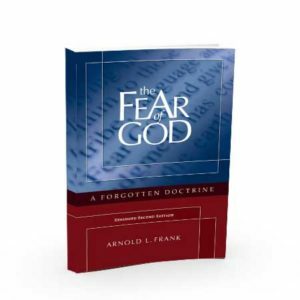 We disagree with much of the end-times scenarios of this book, especially chapters 12 and 13, which represent the author’s opinion based upon his interpretation of theology and eschatology. It is not our view, as you will also see in the Theology Editor’s Word by Ronald W. Kirk, which follows this Foreword. We are not inclined to believe that wild beasts will run rampant and devour humans wholesale— although Leviticus 26:22 was the Lord’s warning to the Israelites to be obedient to His commandments or face the consequences of the curse, and Revelation 6:8 does warn unbelievers [particularly] of these consequences being unleashed. Personally, I believe the Beast was first-century Roman-emperor Nero who greatly persecuted the Christians (among other tyrannical dastardly deeds) leading up to the destruction of Jerusalem and the old (Jewish) sacrificial system in AD 70. However, we advise readers to seek the truth by intensive study of the Word of God. I also recommend to you another, more optimistic, book published by NPI for further study: Dr. Greg Uttinger’s A Whole New World: The Gospel According to Revelation. “I am Alpha and Omega, the beginning and the end, the first and the last. Blessed are they, that do His Commandments, that their right may be in the tree of Life, and may enter in through the gates into the City.” (Revelation 22:13-14, Geneva Bible, 1599). This book is so gripping that I found it difficult to put down. I have known Dr. Jones for many years as a physician, hunter, author, and close friend. He and his wife Linda were frequent guests in our home in Washington, D.C., when I was in the U.S. House of Representatives, attending the National Prayer Breakfast and State of the Union Address, among other activities. His beliefs are deep-seated and convincing. Anyone should find this read to be thought-provoking and intensely interesting. Very rarely does a book come out that tackles such an important topic confronting our culture, an issue that is subtle and confounding to many. Dr. Jones does an insightful job of communicating the deception of the animal activist movement that is threatening the very essence of the Judeo-Christian worldview. This is the first book I have read that endeavors to present a true Biblical response to the animal rights agenda. I definitely recommend this book to anyone who wants to better understand this insidious movement and the Biblical viewpoint a Christian should have toward it. In this his newest book, Dr. Jones makes a most compelling and sane case for our proper role in the stewardship of animals. Environmentalists and animal rights activists are well described in Romans 1:25: “For they exchanged the truth of God for a lie, and worshiped and served the creature rather than the Creator.” This book is a must-read for anyone who truly cares about God’s creation and desires to be equipped to defend truth in the midst of an onslaught of lies. It seems our politics parallel our theology. Dr. Jones demonstrates how we have allowed the distinction between Creator God and His creation to be blurred or forgotten. I see a very relevant parallel in the way the tenets of American government have also been marginalized as we allow government employees and politicians to contend for unconstitutional disarmament of American citizens. Jones rightly sees this attempt to transfer sovereignty from the people to the government as apocalyptic. 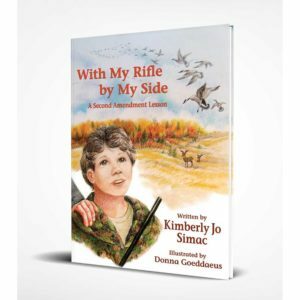 Dr. Jones is one of our most popular authors in Sports Afield and at Safari Press books. Worship Not the Creature: Animal Rights and the Bible is a book that should make all reasonable people seriously think. If you believe animal rights activists are joking when they say that riding a horse is a violation of its rights, you had better read this book. The radical fringe of the animal rights movement is deadly serious about passing its agenda. We had better wake up quickly! Avatar was a radical Gaia worship movie that did very well at the box office. And, it was one more indicator that society is becoming more and more intrigued by paganism in all of its various forms, including radical animal rights mumbo jumbo. The book Worship Not the Creature: Animal Rights and the Bible, by J.Y. Jones, is a very clear, compelling read that refutes not just the animal rights movement but also the wide range of neo-pagan beliefs, from a strong biblical perspective. The best part of this book is that it exposes many of the lies of the left. For instance, it shows clearly that eating no meat at all is unhealthy and practically impossible. The amount of supplements one has to take is complex and enormous. Beyond that, the book shows that man was given responsibility to steward the animals and that many were given to man for food, clothing and shelter. 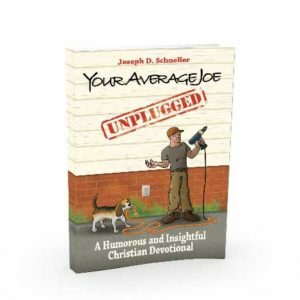 It is a very responsible book that has great practical applications, informed by many excellent biblical references. MOVIEGUIDE® recommends Worship Not the Creature and that you pass it on to your friends and family who are being seduced by neo-paganism. I really enjoyed this book as I read it. I have always believed that man is over the animals and it is good to read where Dr. Jones added Scripture to go along with his views. I have a (so called) friend that believes that her dogs will be in Heaven when she gets there, I have tried to tell her that animals do not have souls as man. Dr. Jones tells about the time before and after the flood and the way he believes the earth survived. He believes as I do that eating meat is not a sin and that our bodies need a small amount. I was so glad to find this book and pray that I can pass it on to my friend, but she is so set in her mind there will be no way she will read it. This book explains so much that I never really thought about on the animals and humans, how they differ and the way God made all things. I knew that He made man in his image and then He made the animals and asked Adam to name them and God put Adam over all the animals. So how could anyone believe that an animal has a soul and will be in Heaven. Thanks to Mrs. Jones for her recipes in the back of the book but I already cook a lot of wild meat and we even can it. Thanks to Mr. Gerald Nordskog and his publishing company for this book to review. 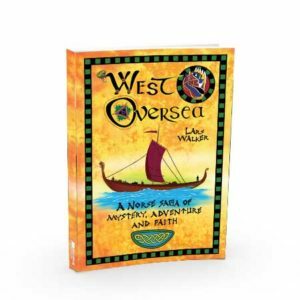 This company really has some great books. Dr. Jones is a physician and avid hunter who is committed to the authority and inerrancy of Scripture. His goals in writing this book were to expose the radical political agenda of the animal rights movement, show that the movement is both unbiblical and unscientific, and has serious harmful consequences. The book begins with a personal note on the author’s “fall from faith” struggles with college evolutionary propaganda. Dissatisfied with typical Christian compromises, he began to find that there were many weaknesses in the evolutionary view. The key discovery is that evolution presupposes a naturalistic philosophy, and the Christian must presuppose an inerrant Scripture. Creationist literature was vital to his rethinking. There can be no doubt that the “animal rights” view is at odds with the Bible. This is a non-technical work that succeeds in showing how unbiblical the animal rights view is. Dr. Jones does overstate his case a few times. On page 22 he states that the Hebrew word “day” means a 24 hour day everywhere else. “Day” can refer to the daylight portion of a day, or in an indefinite form simply “time” or “when.” But “day” never means anything close to the millions of years needed for compromise Christian theories to work. On page 32 we read “…the Bible states unequivocally that there had never been rain before Noah entered the ark.” This is a common belief but not necessarily true. Gen 2.5 tells us that the siach [a shrub of the field] is a category which likely includes wild growing non-food bushes such a thorns and nettles (as in Job 30:7 where they are in parallel). The point is that the siach will not spring up until there is rain. But Gen 3.18 tells us that the thorn bushes and thistles WILL plague Adam in his work. Since the thorns and shrubs would not spring up until there was rain, and since thorns were present after the Fall—we conclude that there was rain after the Fall of man. I should say that these possible inaccuracies do not affect the validity of Dr. Jones’ case in a popularly written book. The unbiblical nature of animal rights is shown by several considerations. God Himself allowed the eating of “clean” animals, after the Flood. God also appointed a sacrificial system in which animals were killed and offered as sacrifices. No human being has the right to say that what God both allowed and commanded is “wrong.” In addition the Bible approves of use of animals for skins, meat, and to do useful farming work. The honorable profession of tent making, as with the apostle Paul, involved not modern canvas but animal skins. Dr. Jones does a good job of showing these points extensively and conclusively. As an example, God threatened the use of wild predatory animals as instruments of judgment upon a disobedient people. In contrast to this, animal rights people are zealous to protect wolves, cougars and other predators despite the threat to domestic animals and humans. Also, the God-ordained Passover required the killing, roasting, and eating of a lamb by each family. The animal rights agenda is clearly not only unbiblical, but anti-Christian. It is not at all compatible with Christianity; but even among the severely morally corrupt animal rights sentiments are heard. Hitler’s Luftwaffe commander Goering professed to “care” so much about animals that he threatened to commit to concentration camps those who still think they can continue to treat animals as inanimate property. Joseph Goebbels opined that “meat eating is a perversion in our human nature.” So they did not mind the torture and cruelty inflicted on human beings! No matter how depraved the fallen sinner, he can always find a way to show that he is a “good person” superior [in his own mind] to other people because he doesn’t eat meat, advocates animal rights, and is “saving the planet.” The biblical view of the issue is stewardship of animals, not a return to the wild. The reader will find a good case set forth in Dr. Jones’ book. The publisher’s notice at the front of the book has a disclaimer that they do not agree with Jones’ dispensational premillennial eschatology. I was still surprised to find out how often the presumption of such eschatology is treated as an important point in his case. This is something of a distraction since it brings up issues that are controversial and not at all necessary to establish the main thesis. The alliance of the animal rights movements with other radical groups shows a common hostility to Christianity and the adoption of the evolutionary worldview that cares neither for man or beast. Dr. J. Y. Jones is an ophthalmologist, a practicing physician who is also a committed follower of Jesus Christ. The Georgia resident is an awarded Vietnam veteran, a recipient of a Bronze star medal, having served one year in Vietnam and six years in the U.S. Army. He came to faith in Christ as an adult, attributing much of his spiritual transformation to what God showed him through the wonder of the human eye. That led him to dismiss evolutionary theory and embrace his walk with Jesus Christ. 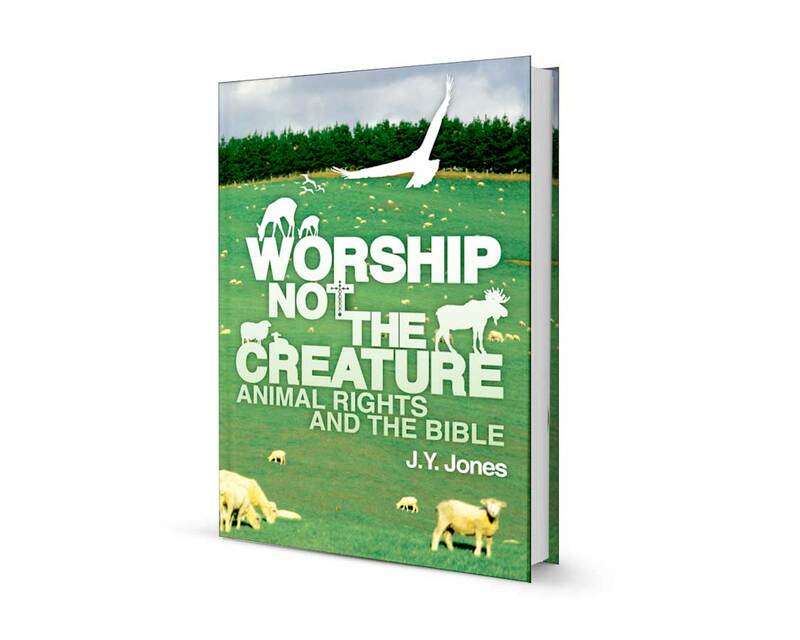 In July 2009, Nordskog Publishing released, Worship Not the Creature, Jones’ take on the contemporary animal rights movement and its opposition to truth as found in the Word of God. That book recently was sent to me courtesy of the publisher, an enlightening look at how big government continues to erode our rights through the environmental movement, something Jones believes will soon lead to a worldwide cataclysm of biblical proportions. Before we move forward, I must share with you some differences in biblical interpretation between the publisher and the author. The publishing company ascribes to a Preterist view of the end times, believing “…all the end-times prophecies of the New Testament were fulfilled in A.D. 70 when the Romans attacked and destroyed Jerusalem and Israel.”  Jones is a premillenialist, ascribing to the view that Jesus Himself will return and set up a future 1,000-year reign on earth. Preterists believe that the end-time scenario took place in 70 A.D., with the destruction of the temple. They also believe the world will be converted in its entirety. Let’s turn back to Jones’ book, which essentially exposes the impact that the radical animal rights movement has had and continues to have on our way of life. Indeed, animal rights and environmental advocacy seem to go hand in hand – both groups seek to limit man’s freedom – opposing man’s use of animals as a food source or for clothing. Jones takes the reader through the early parts of the Bible where animals were not likely consumed by people or in the greater manner that they are today. He offers a fascinating look at what Earth may have looked like after the fall of mankind and before the flood – a planet shrouded in water vapor with temperatures fairly constant everywhere including in polar regions which once supported lush vegetation. When the fountain of the great deep burst open and the floodgates of the sky opened (Genesis 7:11-12), thus began a transformation in human eating habits that would lead to mankind needing to eat meat to survive. From the onset, God intended man to have authority over the animal kingdom (Genesis 1:27), something Adam had until sin entered in. Both man and animals originally subsisted on vegetables although humans and some animals always had the capacity to eat meat. In Genesis 9:3, God said, “Every moving thing that lives shall be food for you. I have given you all things, even as the green herbs.” These verses serve to do two things, both of which counter animal rights activists who maintain that killing animals is wrong: God gave man dominion over animals and He allowed man to change his diet to an earth that was now far different after the flood. Seasons and storms were new to the planet; God adjusted life to be managed accordingly. Jones makes a case for the biblical stewardship of animals, citing scripture that makes a case for caring for animals. The author draws on Exodus 21-22 to note God’s instructions to man about animal husbandry, and also stresses that we’re to use animals for care and not to abuse them. Jones goes into detail about the proper way to kill an animal for food which usually involves a shot to the head or the slitting of the throat. Each option is considered the most humane although for hard-core vegans no manner of killing is correct or should be allowed. That rigidity, however, comes at a price as B12 vitamin deficiency can only be addressed by eating animals or taking supplements. The author also dedicates a chapter to tying in radical environmentalism with the rise of the final Antichrist, someone he believes may forbid meat-eating, making an exception for the state of Israel, which will have rebuilt its temple and re-instituted animal sacrifices there. Jones suggests that this Antichrist will be busy for 3 1/2 years consolidating his authority across the world, but then turn on Israel, using its animal sacrifices as a pretext to subjugate the Jewish nation. The author also suggests how the animal kingdom will run amok during the tribulation, offering another indication that Christ’s future reign on earth is near. Biblical references aside, Jones does reveal the insidious nature of the animal rights movement, taking issue with two well-known groups and exposing their practices including suspect fund-raising and even weak support for true animal welfare. As Christians, we must walk in the authority God has given us and eat whatever foods we want, including game, with a clear conscience. Worship Not the Creature, follows more than two hundred fifty published articles by J.Y. Jones, including many for Sports Afield, a series of outdoors books and two novels, with a third nearing completion. An eye physician and surgeon for almost forty years, Dr. Jones is a decorated Vietnam veteran. He has received numerous awards for writing and photography. He is a frequent speaker at wild-game suppers and other sportsmen’s events, and particularly enjoys sharing his Christian testimony. He has volunteered in twenty-three overseas eye-surgery mission trips. He is fluent in Spanish and conversational in Russian. He has been married to his wife, Linda, since 1964. Be the first to review “Worship Not the Creature: Animal Rights and the Bible” Click here to cancel reply.